I am enjoying the Christmas holidays reading, listening to audios and watching UFOs documentaries. 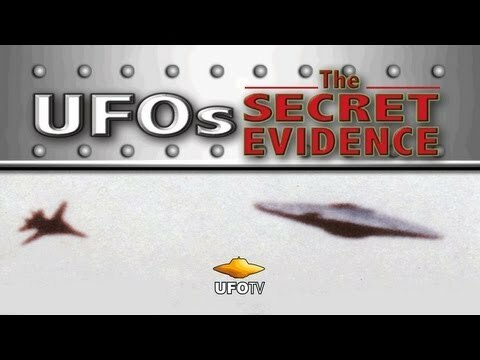 I came across this documentary titled “UFOs: The Secret Evidence” and it is very interesting for those who are passionate about the subject. The documentary is mainly made of interviews of very knowledgable scientists and military officers who are very credible. The “UFOs: The Secret Evidence” documentary presents what the world governments really know about UFOs. Includes 44 original UFO film clips from around the world, most of which have never been seen until this feature documentary was originally introduced to the general public and also includes film clips from the archives of both NASA and the U.S. Air Force. Best Film, Best Historical Documentary, Best UFO Footage and The Peoples Choice Award from the International UFO Congress Film Festival. – Soviet Air Force Test Pilot – Dr. Marina Popovich. This feature film also includes an investigation into the true alien abduction story of Amaury Riverain Puerto Rico. I know that there are many people who do not believe in this stuff and I think it is because they are not documented. I do not see any reasons why these reputable leaders of society would make-up these stories. In the contrary, I see the reason why governements are lying to us about what they know on the subject.